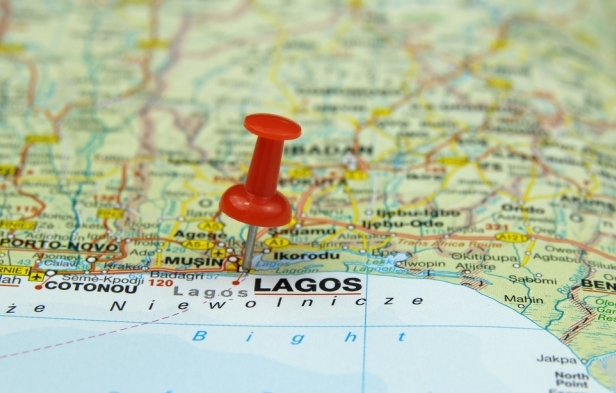 EVA-NICOL WEST AFRICA LIMITED based in Lagos, Nigeria - Appointed Lubrita Exclusive Distributor for West Africa! EVA-NICOL WEST AFRICA LIMITED is a young, dynamic and fast growing company in West Africa. EVA-NICOL WEST AFRICA LIMITED appointed as exclusive importer for Lubrita automotive, commercial transportation lubricants, industrial lubricants, Lubrita cleaners and Lubrita chemicals to supply West African region. Dr Arnold Seun Dumuje CEO of EVA-NICOL WEST AFRICA LIMITED sees great potential and opportunities in Africa Lubricants market with Lubrita products. EVA-NICOL WEST AFRICA LIMITED most focused on Nigerian Lubricant market, but also continuously supply Lubrita lubes exclusively to Benin, Togo, Ghana, Ivory Coast, Burkina Faso, Mali, Cameroun, Gambia, Senegal, Guinea, Guinea Bissau. Africa it‘s the world’s second most populous continent and lubricants demand growing each year. Buyers can select from a vast range of Lubrita products and buy just the quantities they require at very competitive costs. Development of industries like mining, steel, cement and construction were also driving the demand growth for lubes in the Africa Continent. Lubrita International strategy -select experienced business partners for creating a long-term relationship. Together with EVA-NICOL WEST AFRICA, Lubrita team research that Africa big and growing country presents a big opportunity for oil marketers and lubricant blenders as Lubrita Brand. As one of examples: South Africa was the most open and deregulated among the African markets with several international oil companies selling lubes. Estimated lubricant demand in South Africa to be around 360.000 tonnes/year. Egypt another key market with demand estimated at 450.000 tonnes. Nigeria, Algeria, Morocco and Sudan accounted around 500.000 tonnes/year. Africa lubricants consume about 5% of global lubricants market. EVA-NICOL WEST AFRICA LIMITED supplying Lubrita products to different industry segments as: Passenger Cars, On highway, Buses, Taxi fleets, Trucks, petrol stations, Off-highway segment, Agriculture, Construction, Mining, Consumer Automotive Lubricants, end-use markets, retail segment, quick-lube oil change centers, repair garages, Industrial Oils and Fluids, Manufacturing, General industrial oils and fluids, Metalworking fluids, Industrial engine oils, Greases. Western Africa: Nigeria, Ghana and all other Western African countries. EVA-NICOL WEST AFRICA LIMITED - Your Local high quality Lubrita Lubricants Supplier in West Africa!